Well summer has started with a BANG! We're only a few weeks into the lovely season and my husband and I have already done more during our weekends together than we have in a long time! Let's see...there was the weekend we watched The Goonies at a movie night in our local park (PS- there were Food Trucks galore parked all around, so you bet we stuffed our faces till we wanted to puke!) Then there was Father's Day. The weekend after that we went and saw our favorite band- The Avett Brothers as well as spent some time visiting the hubbie's aunt who is in town from Norway. Oh and best news? IT'S FINALLY WARM AND SUNNY! I have literally come out of my slumber to sunshine, birds chirping, and warm weather for a few days in a row now! Ahhh summer. You're so welcomed in my life! I can't remember the last time I wore pants! Err....let me rephrase...I have been in skirts and dresses for some time now that I can't remember the last time it was cold enough to wear jeans. Much better. With all that summer talk I want to show you guys a fun little dessert I made for my dad this past Father's Day. It's got a lot of ingredients that remind me of summer- vanilla, lemons, and honey. Well....vanilla reminds me of any season really- it's so versatile! But the lemon and honey part- very summer-esq if you ask me! I found a recipe online a long time back for gooey lemon squares. 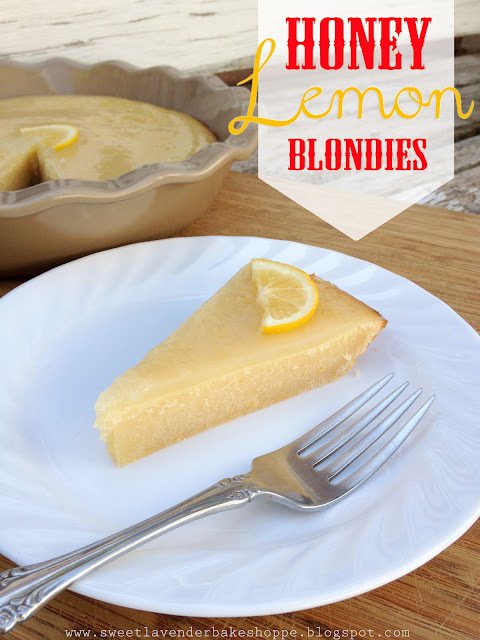 I wanted so badly to make them for my dad because he's a HUGE lover of lemony desserts. Plus they looked AMAZZZZZZING (might have to make them for the hubbie and I later on). Anyway, I was so intrigued but as I read through the ingredients, I was sad to see things like condensed milk (which is sugar), powdered sugar (sugar), sugar (sugar) haha. Poo! Needing to lay low on the sugar spectrum, I knew my dad would never be able to eat something like this- not even a sliver! 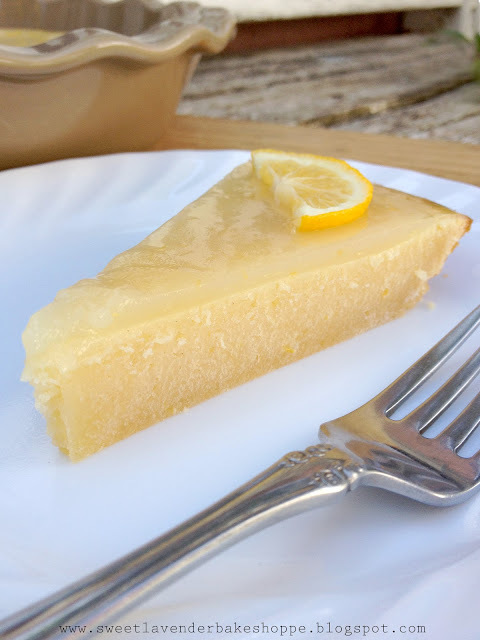 I kept searching for a recipe that was along the same playing field- you know- lemon bar type stuff....and came upon another great recipe that omitted the condensed milk, but still had the white sugar and powdered sugar. Grrrr...I just couldn't find a lemon square type dessert without white sugar in it. Sad face. "I'll just alter a recipe, omit the sugar ALTOGETHER and make it for him!" ZING! Hence, we have my SUGAR FREE...HONEY-FULL...Lemony Bar-ish...Blondies....Thing. No, in all seriousness- I'm calling them Honey Lemon Blondies because if a good tart lemon square and a vanilla blondie...got married and made lemon dessert babies- these would be them! The texture is a mix between a blondie and a soft/crunchy lemon square- we're talking dense like a brownie but soft and chewy at the same time. The flavor is bright, tart, and sweet, with subtle caramel notes. Buttery with that lemon bar tang. This was good stuff. I have to admit- it was hard to make a sugar free glaze though! You know what I'm talking about- powdered sugar mixed with a liquid of some sort- poured over the cooling cake/bars/bread to ooze down the sides and look totally tasty! Powdered sugar, you see, is also what helps the glaze to thicken. No powdered sugar, no thick glaze! 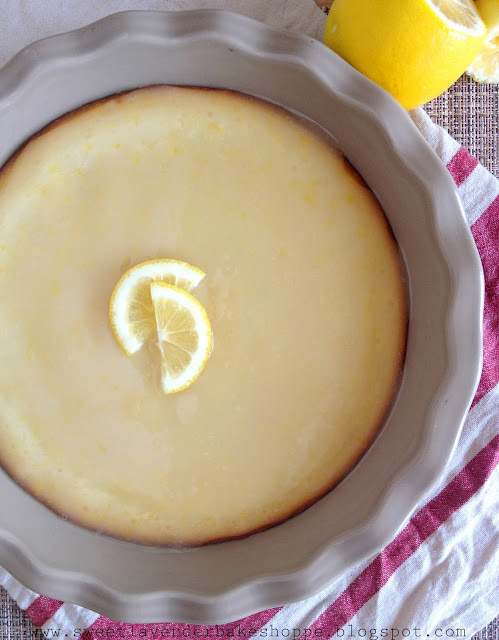 I played around a bit- used more honey in place of the white stuff...and came up with a totally sugar-less honey and lemon glaze that tastes just as good as a good lemon glaze should. Actually better- it really tied in the whole lemon bar aspect of this dessert. 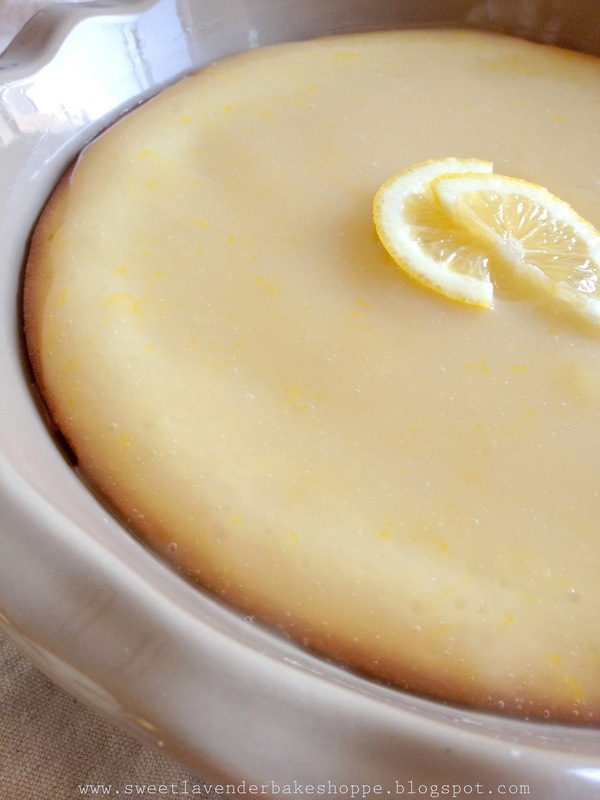 Made that almost "lemon curd like" topping we all know and love. So if you have a loved one who can't consume sugar...or you're trying to cut it out yourself- try these. I promise you will NOT be disappointed. I had to show you all this tip I learned a long time ago and have since used all through any restaurant or bakery job (and use in my own home). How to measure sticky substances without losing some in the measuring cup! I don't know- maybe you know this trick already. Do you? If not, please learn it, love it, and use it forever-ever-ever-ever. Good for use with corn syrup, molasses, rice syrup, maple, honey, etc-- you get the point. Line measuring cup with plastic wrap- you'll want to press in the plastic so it's taking the form of the cup: press against all the sides and make sure it's loose enough to touch all of the bottom too! This way you're getting an accurate measure! Make sure your plastic piece was large enough to have an excess of a couple inches draping down from the cup. Fill measuring cup up with desired sticky substance. All the way to the tip top! 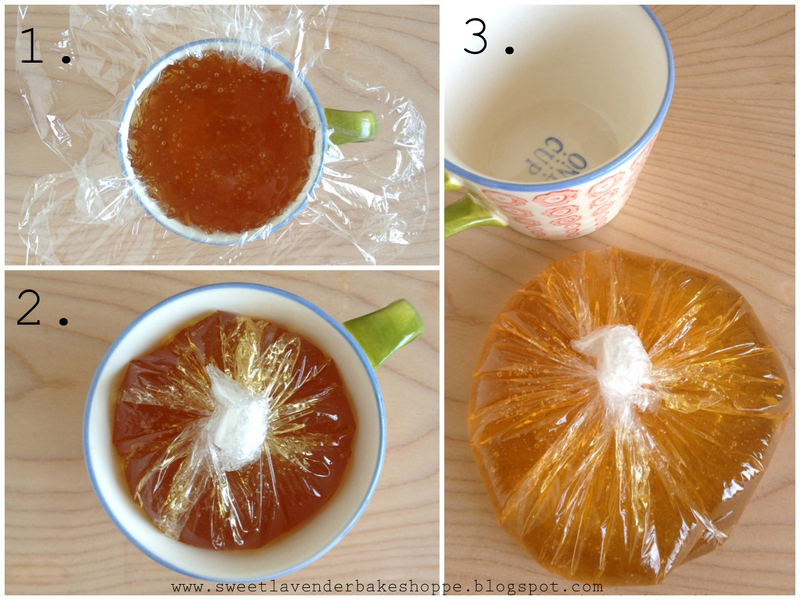 Take excess plastic wrap and carefully pull together and twist into a knot or secure ball. Clip or tape off so it doesn't open. Carefully pull out of cup and you've got your sticky-substance-perfectly-measured-pouch! When you're ready to use, just take pouch and over your bowl or whatever you're going to put it into- cut or tear a little hole in bottom and squeeeeeeeeeze sticky liquid out! Viola! You'll get an accurate measure (and clean measuring cup) every time! Preheat oven to 350*F. Butter your 9" pie dish, mine's about 2.5-3" deep. If you don't have this, feel free to use a standard 9x13 pan or even line cupcake tins! Remember though, baking times will vary if you're using a different baking pan! In a bowl sift together flour and salt. In a bowl of an electric mixer, fitted with the paddle attachment, beat together your eggs and honey until thoroughly combined (2 minutes). Next add your vanilla extract, 5 tablespoons of lemon juice, and 2 teaspoons of lemon zest. Mix together. 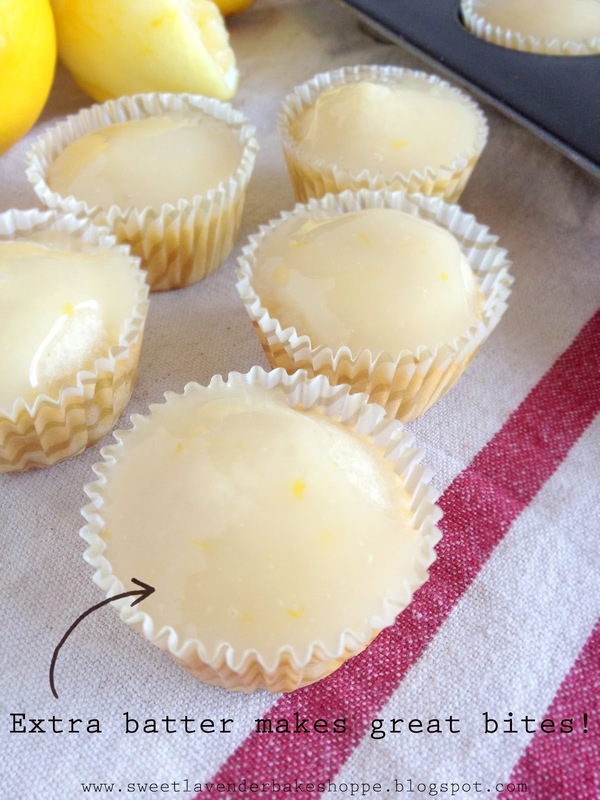 While mixer is on medium-low speed, alternate your dry ingredients with your melted butter into the honey-lemon mixture. Scrape down, mix again. Mix until batter is JUST combined. Pour into your greased 9" pie dish about 1/2-3/4 way up and bake 25 minutes or until a toothpick inserted in middle comes out with little crumbs. Your sides should start to pull away from the side of pan and begin to lightly brown. Remember if you're baking in a 9x13 or in cupcake tins, your time will vary, check every so often until done. Let blondies cool about 15 minutes before glazing. If you choose to use the 9" pie dish, you may have batter left over- which is awesome in my opinion. I just poured left over batter into mini cupcake tins and baked for about 10 minutes! Then glaze the same way you would the blondies. They were great little bites that my husband and I enjoyed! Add your butter to a small bowl. Set aside. Whisk together your almond milk and cornstarch in a small non-reactive pot, until all lumps are gone. Then, add the rest of your ingredients, except butter, and cook over medium heat until mixture comes to a simmer. Stir frequently. Once mixture is simmering, lower heat so that you have a steady simmer. Do not boil. Cook, stirring frequently, about 5 minutes. Mixture will thicken up quite a bit. Remove from heat and pour curd into your bowl with butter. If you're worried about lumps you can pour through a strainer into your bowl. Mix in butter and allow curd to cool 15 minutes, stirring every so often. 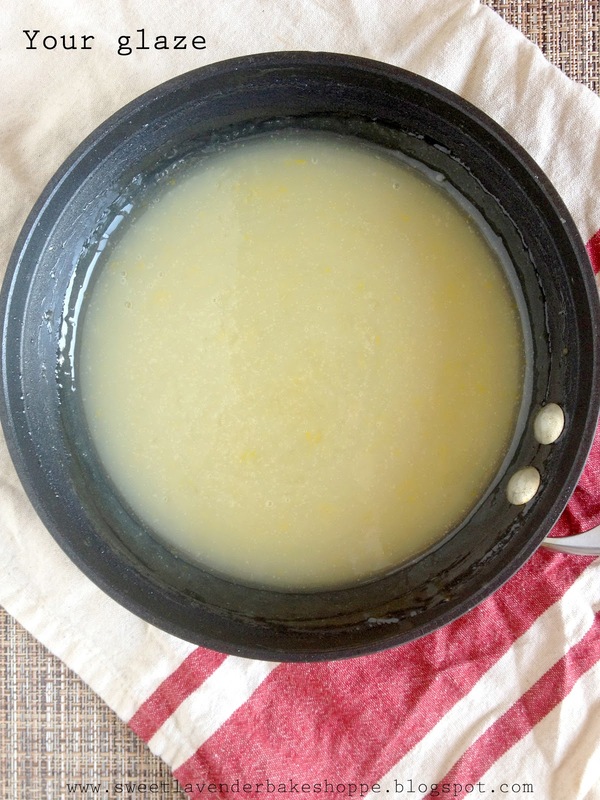 Curd will thicken up even more when completely cool. Like I said, once your glaze has cooled a tad, pour on over your blondies and MmmMmmMm! Completely refined sugar free; sweetened with lovely natural honey bee honey! And remember- if you have extra batter, use it up! It makes great little blondie bites! I love that little measuring cup tip! I use it every time I bake bread!!! LEMON!!! Oh how I love anything with lemons!!! A lot of my family are sugar free so this recipe is so awesome. I can't wait to make it. And the sticky substance tip? Brilliant! can you make this with another fruit...? Because I have an over abundance of melon in my house, along with cherries, blueberries, peaches and pears... someone from our family gave it to us (they work at a grocery store) and everything is just slowly rotting because my family can't eat everything fast enough..
Hmmmm I think any citrus would work- because you're looking for the juice, zest, and acidity it provides. Grapefruit, lemon, lime, orange- I'm sure those would work out just fine. As for other fruits...I would stay away from em on this recipe. I do have a plethora of pie recipes...you might want to check them out for your berries! This is a great idea! I'm always looking to reduce the sugar in my food and will definitely try this recipe when I have a lemon craving.